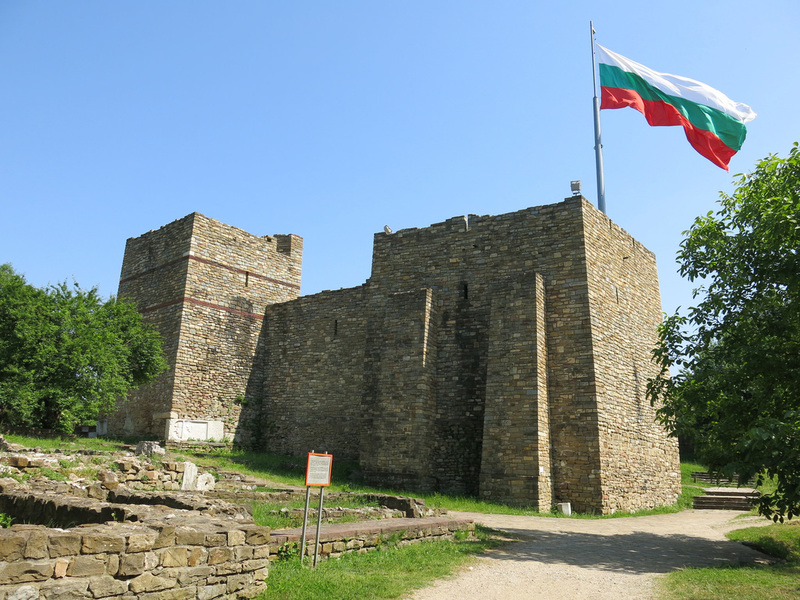 Bulgaria markets Veliko Tărnovo as the City of Tsars - the Asen royal family established the second Bulgarian empire here in 1185 and a reconstructed version of Tsarevets, their royal compound sits atop a hill on the eastern side of town. 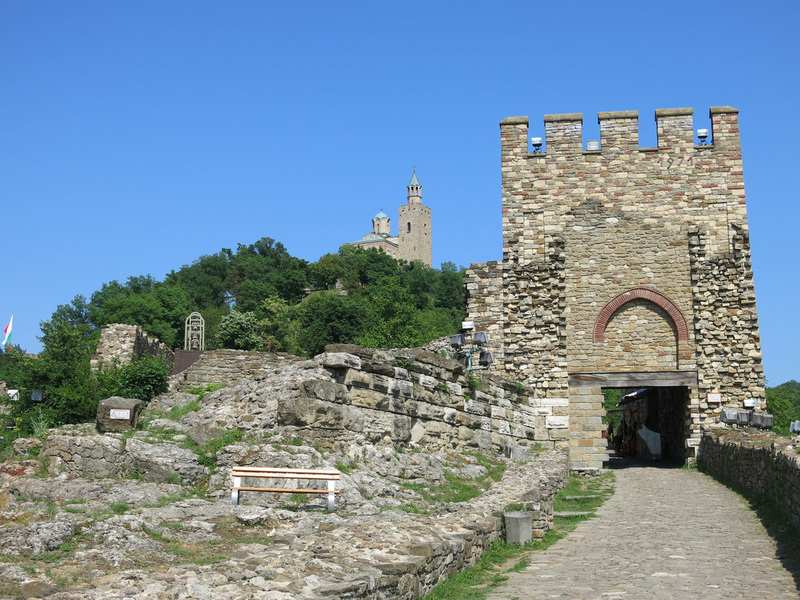 The Tsarevets castle complex is considered the towns primary attraction. It's a partial reconstruction - it's relatively easy to tell what's new (the cathedral) and what's old (the village area). Most of the surrounding walls have been rebuilt as has the main keep which features a cathedral in place of living quarters. 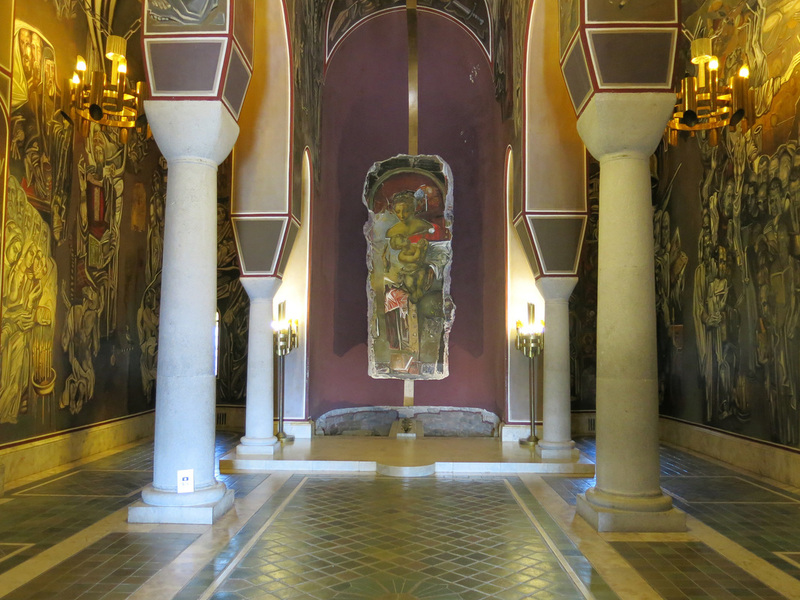 The interior of the cathedral has not been refurbished in the historical interior design. 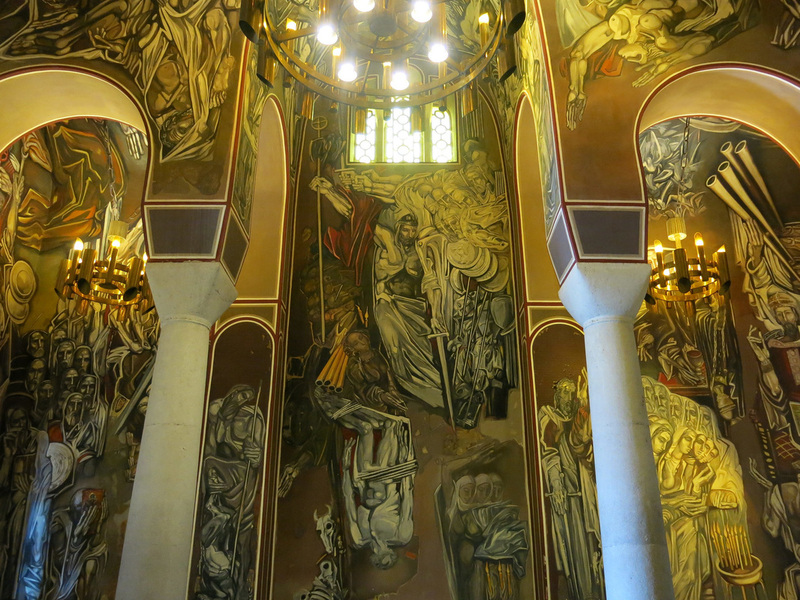 Modern paintings showing a muscular Jesus cover the walls and ceiling. There's also air conditioning which after a climb in the sun is a welcomed addition. 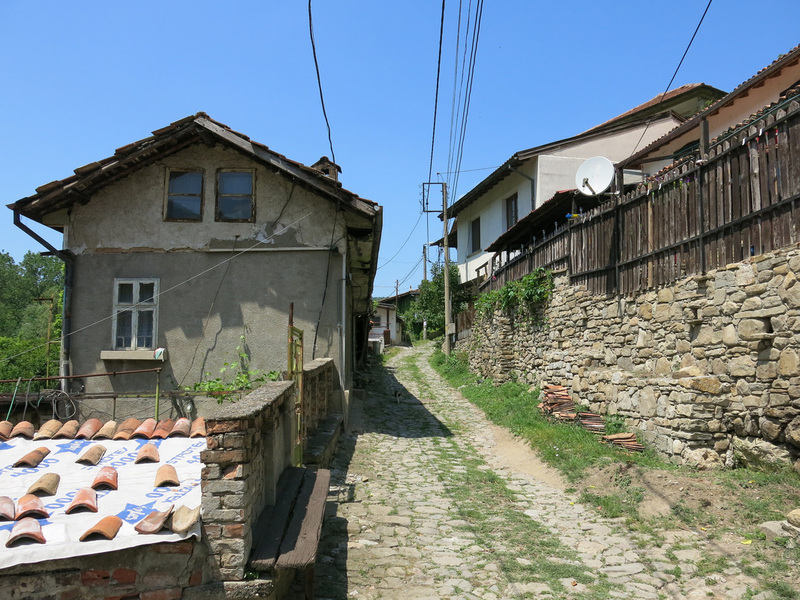 Despite Veliko Tărnovo being in the hills, it's only about six hundred feet above sea level thus on a sunny day the temperatures may still be warm. Foundations of former homes surround the hill and cathedral within the palace complex. The old town area sprung up west of the castle. 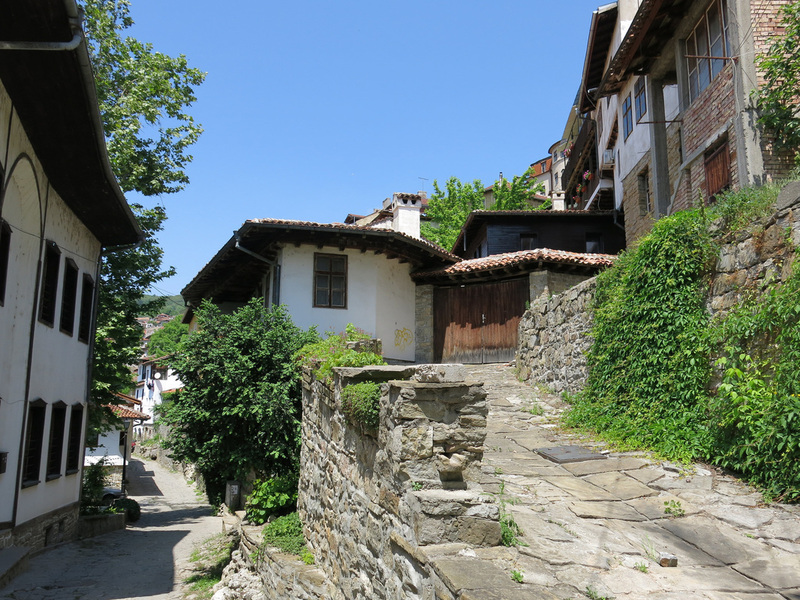 The Main Street runs along the hill of a ridge with homes running down the sides of the hill towards rivers…thus the most impressive reviews of the city are not from the main area but instead at bends that showcase the homes along the hill side. 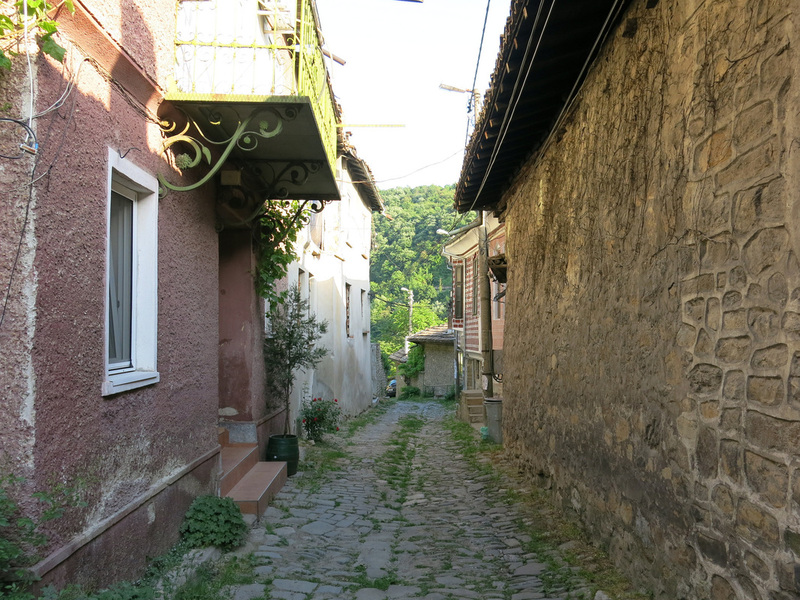 The areas down the hill and closer to river includes the Old Town's Main Street. A cobble stone street barely the width of the car runs along older homes which now have satellite dishes attached. It's become a bit of a practice to ensure the photo frames do not include modern amenities. 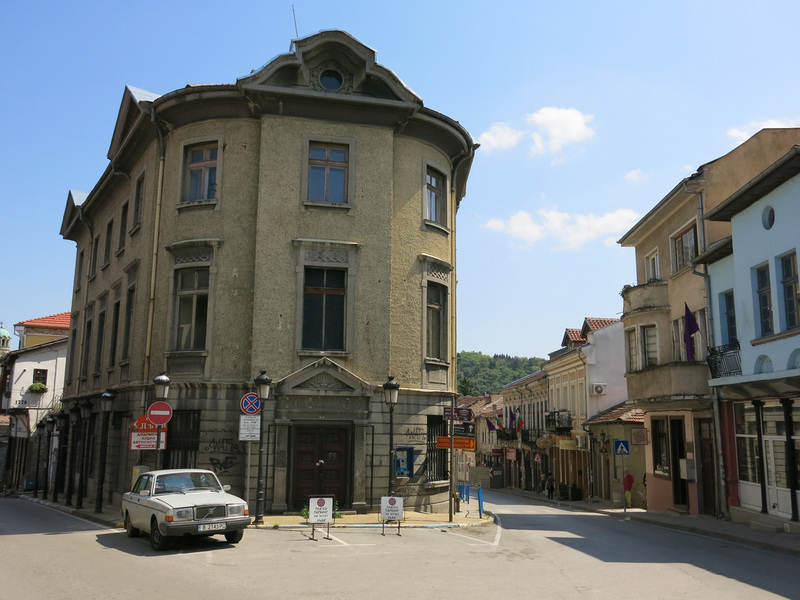 An old town area starting from Rakovski Street has turned into a tourist shopping street offering Bulgarian cultural items from the surrounding area. There's lacquerware and dolls dressed in village attire - the Chinese day trippers appeared more inclined to take photos than make purchases. 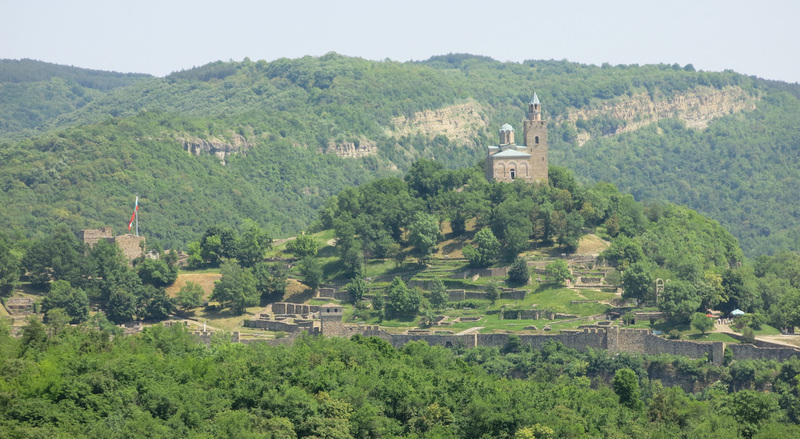 An upturn from the shopping street provides an open and unobstructed view to Tsarevets (the opening image). A coffee shop at the entrance of the tourist district offers a strong cup of Turkish Coffee and outdoor seating. 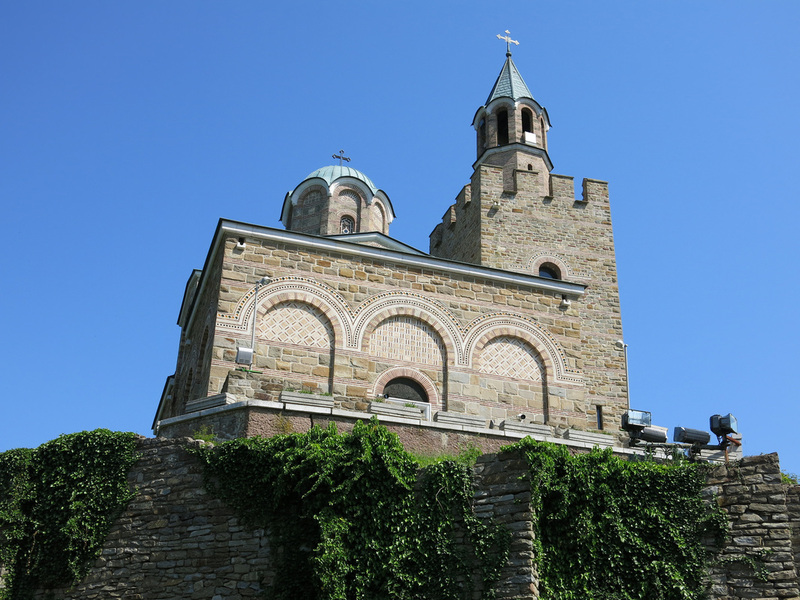 Despite the vestiges of the past, Veliko Tărnovo shows that life has continued since the Ottomans conquered the Asens in the 1300s. 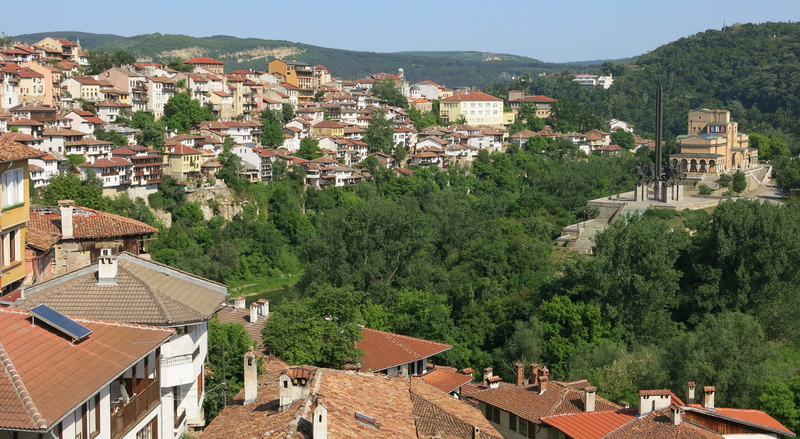 Today the town is home to one of Bulgaria's largest university. I saw several groups of students participating in an Amazing Race style scavenger hunt through town. I think the bars, and certainly the restaurants, cater more to the out of town tourist crowds although there seems to be quite a few locals at these establishments - they do seem to be a bit over the scenic views the patios provide. A second pass through the Old Town at dusk was just as rewarding as the walk earlier in the day. 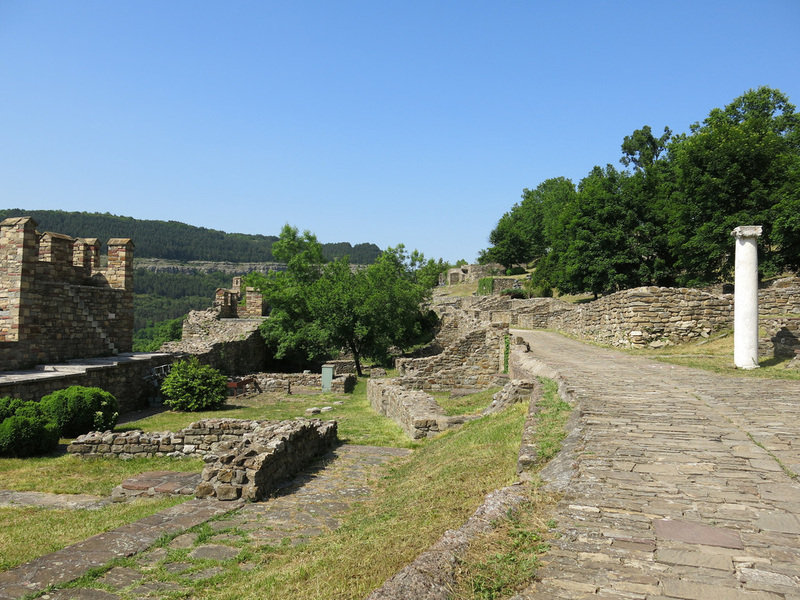 Veliko Tărnovo is a three to four hour bus ride from Sofia (Costs 18 Leva). There was quite a bit of traffic on the way out of the city and before reaching the freeway. From the bus station it was about a forty minute walk to the old town area and Hostel Mostel where I dropped my bag and started to explore the city. 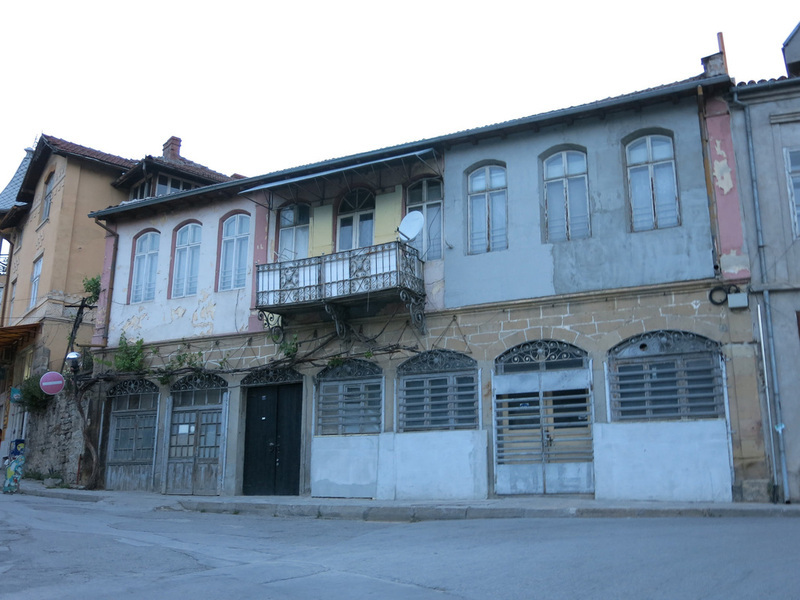 The next morning I woke early and caught an eight o'clock bus to Plovdiv. 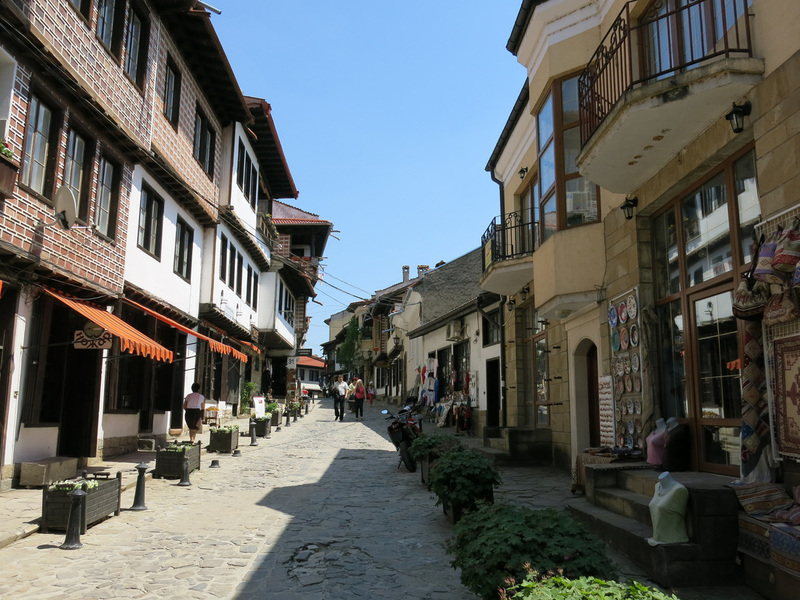 There were also buses heading Bulgarian towns along the Black Sea which is about four to five hours away.